I had offered to bring a dessert to a friend’s house this weekend (she was making dinner) and needed something that was both adult and kid friendly. In my drawer of recipes I rediscovered this one for “Supernatural Brownies” clipped from the New York Times in 2007. I made them many times in 2007 and then kind of forgot about them (either that or I’ve been in a chocolate coma and just woke up in 2012). Other than the fact that they’re not dairy-free (my friend Meredith can’t eat dairy–and I totally forgot that too) they seemed perfect. To avoid being a total dessert jerk I brought Meredith some Mango Gelato from Ed’s Real Scoop (I know a pretty feeble gesture) while the rest of us enjoyed these brownies which turned out as moist, chewy and chocolatey as I remembered them. So I thought I would share the recipe or rekindle your memories of it if you too had once loved–and lost– it. 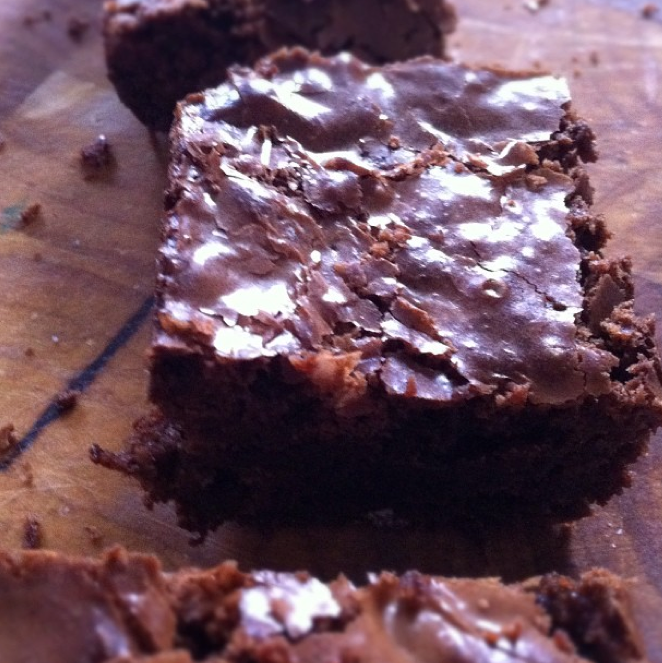 This recipe originally come from a piece in the New York Time by Julia Moskin which included 3 brownie recipes (French Chocolate Brownies and New Classic Brownies). I stopped trying alternate recipes after I tried the Supernatural recipe as it seemed there was no point in exploring further. This is the NYT’s recipe, as adapted from “Chocolate: From Simple Cookies to Extravagant Showstoppers,” by Nick Malgieri (Morrow Cookbooks, 1998). I got chocolate on the dish. Messy picture. Sorry! 1. You need to butter a 9 x 13 ” pan and then line the bottom with parchment, and butter that. Now preheat the oven to 350 °F. 3. 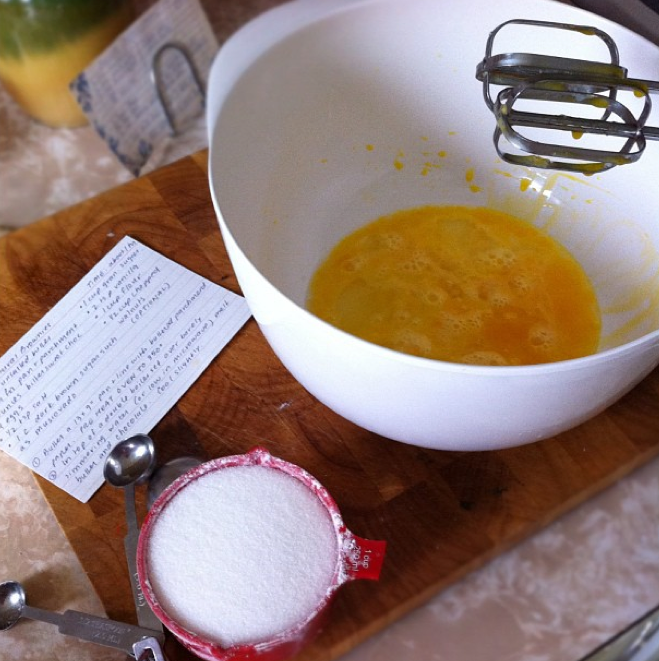 Now you’re going to put your eggs in a large bowl and whisk them lightly with a hand blender and then add in 1 cup white sugar, 1 cup brown sugar, 1/4 tsp salt and 2 tsp vanilla. 4. 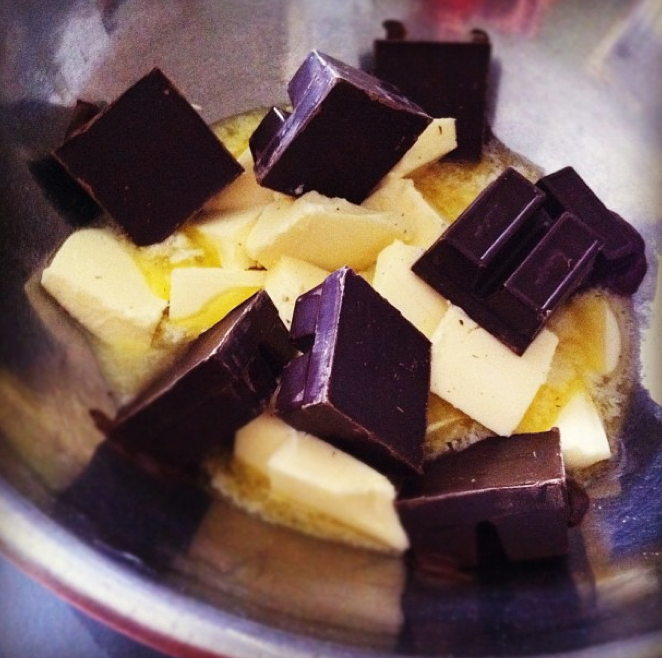 Pour the chocolate mixture into the egg batter and whisk the two until combined. 5. 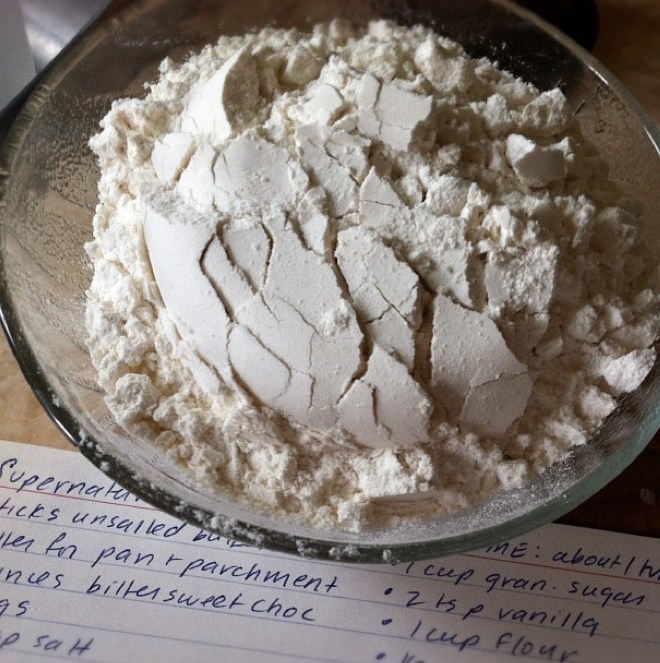 Now add 1 cup all-purpose flour and gently fold it in with a spatula until just combined. Don’t over mix. 6. Pour the batter into the greased dish and bake for about 35-40 minutes. Until the top is just cracking and becoming glossy. Remove and allow to cool before slicing. 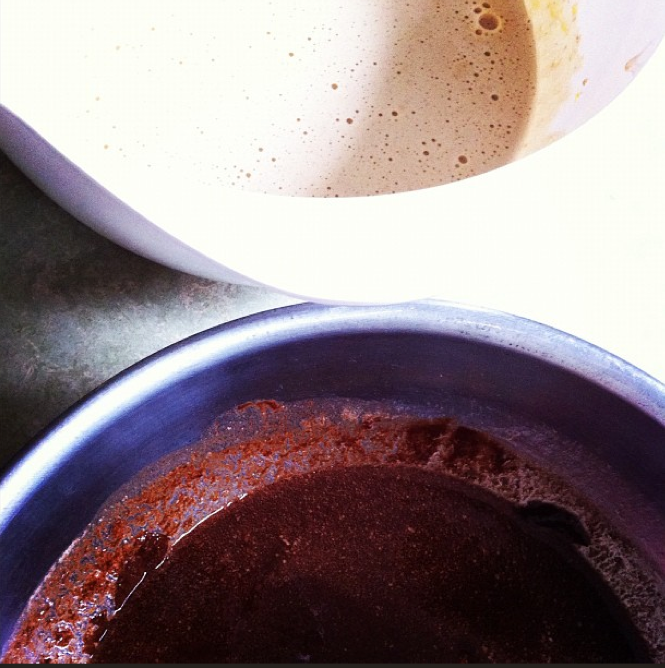 The final brownies will be shiny and cracking on top with a rich, mist and chewy middle. Other than the baking and cooling, preparing this is fast and simple. A good one for potlucks, birthday parties or Apocalypse planning sessions. Who needs coffee in the morning when you can read and see, preferably EAT Supernatural Brownies. Oh, wait. With the coffee! That’s gotta put a zip in your step. Sue, can you tell me where you get the wonderful Vanilla Bean Paste? I practically eat that stuff right out of the jar. And put it in my milk as I heat it up and froth it for my coffee. I end up at Williams Sonoma, but there has to be somewhere closer to Yonge and Lawrence/Eglinton/St.Clair. Thanks for your lovely blog. It always puts a smile on my face. Hello Cindy! OMG I never even thought of putting it in my milk. How much time have I wasted? The horror! Any excuse for Yonge & Summerhill I say! Thanks for the reply. 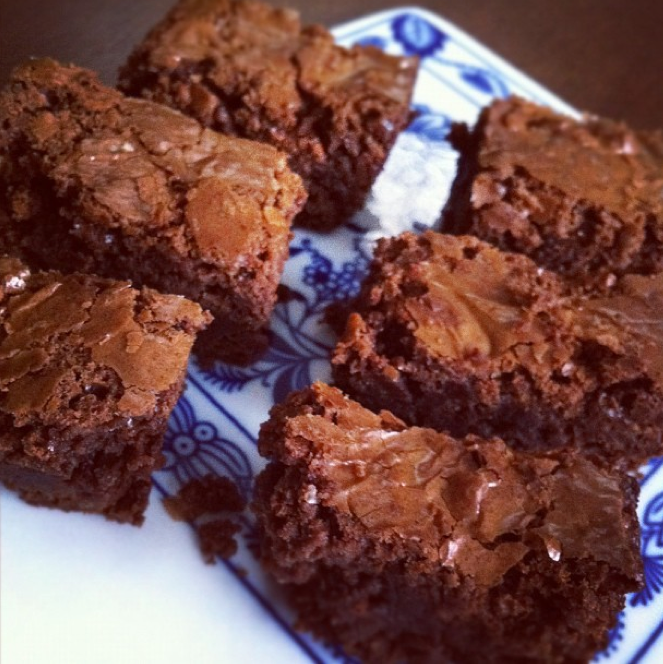 The thought of baking brownies last night was immediately imbedded in my mind as soon as I read this post. I picked up a few of the ingredients that I was missing and went straight home after work to bake them. The recipe does not fail! These were delicious! And I even used a combination of semi-sweet choc and bittersweet, in fact, most was semi-sweet (5 1/2 oz.) They truly were moist on the inside and shiny and crisp on the top. Beautiful! I had to take most into work today to avoid eating the entire tray. Thanks for sharing! This sounds like the perfect brownie recipe that I need to make to reward myself for trying desperately to avoid getting fat this winter. It’s practically spring- I deserve a little congratulatory square. 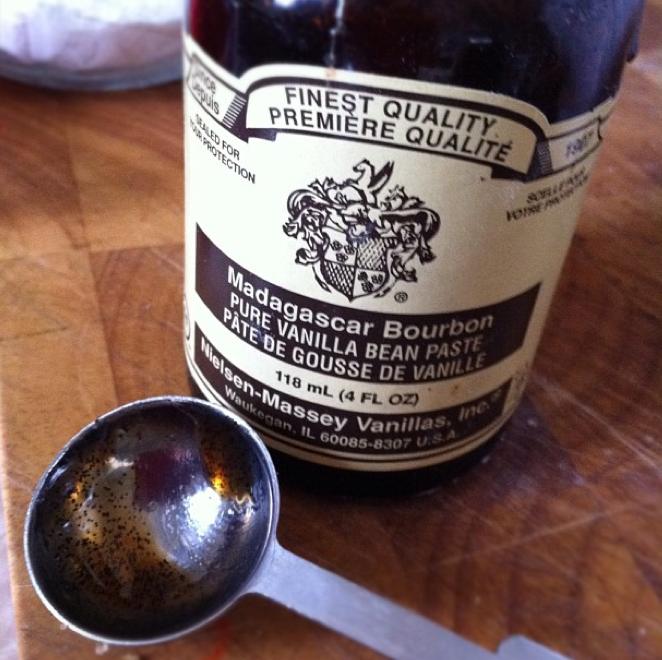 Thanks for posting- I was just wondering if vanilla extract will work the same? 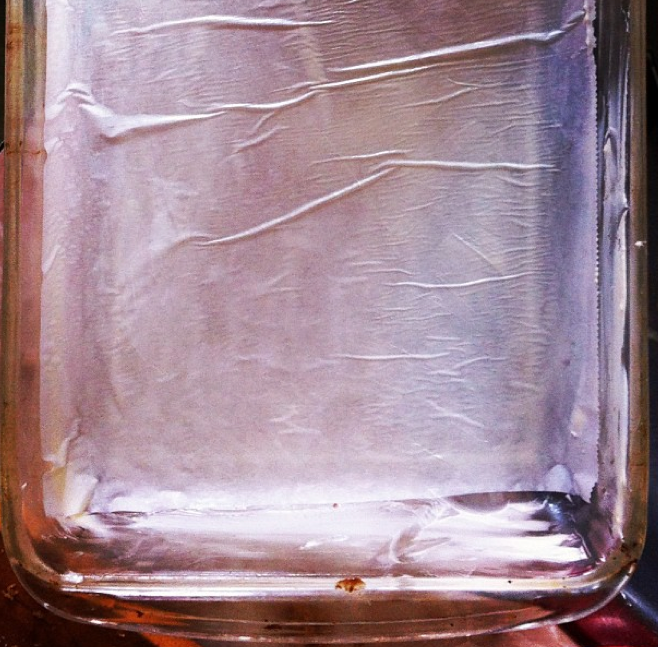 I think vanilla extract is in the original recipe, I actually had this on hand and had run out of vanilla extract! They are good Johanne–but as Michelle found–you can’t eat one square! Nice. That’s okay- we’ll bake them and take them to sabotage someone else’s dieting.